Halloween 2011 is approaching! You may have prepared the fancy dress costumes, Halloween outfits and Halloween food, etc for the upcoming 2011 Halloween. What is Halloween? It is the horror festival that will have your toes curl and your skin crawl. Want some Halloween movies that will give you goosebumps? 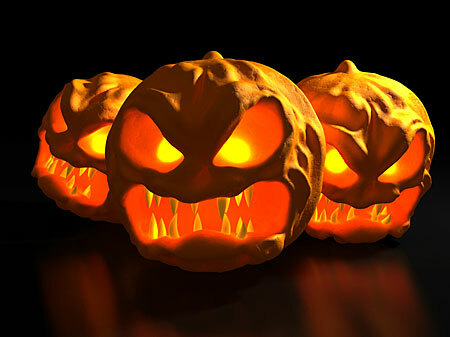 Now take a look at the following top 10 Halloween movies prepared for you. A young FBI agent (Jodie Foster) confides in a manipulative killer, Hannibal Lecter (Anthony Hopkins), to help catch another killer who skins his victims. This 1991 psychological thriller is considered a “horror masterpiece” and, despite only having little more than 16 minutes of screen time, Hannibal Lecter is one of the most terrifying horror film serial killers. The “ju-on” or curse is said to be created when a person dies with a “deep and burning grudge.” After a housewife is murdered, each person that lives or visits the haunted house is killed or disappears. This 2002 psychological horror film by Japanese director Takashi Shimizu will leave you stunned. Homes have their memories, good and bad ones. However, this particular home in the movie is a place where murders have been done. Unknown to the Atenton family, who moves into the house, that they will become the murderer’s next target. Just outside the state of Texas is a place known as the Killing Fields, where actual killings take place. Two detectives have been looking for answers, searching for suspects who are responsible for the dead people left in that place. With the help of a young girl, the solving of the unknown crimes are shedding a different kind of light… an unexpected light. John Carpenter’s “The Thing” is a 1982 science fiction horror film starring Kurt Russell. Scientists are stranded in an Antarctica research station when they uncover a parasitic extraterrestrial life form that assimilates other organisms and imitates them (a “shape-shifter”). Paranoia breaks out in the group when no one knows who may or may not be the thing. The number 11 has so much mysteries and wonders. It can be looked to as a sign of good fortune, others look at it as a bad omen, a warning of terrible events to take place. In the movie, November 11, 2011 may be the day where an unfortunate and horrible event will occur. A normal life, in a normal setting, involving a normal family. No, this is not an exorcism movie, but the father of the family has brought a certain woman home, during his hunting trip in the woods. He bound the woman in the basement and shown it to his family, and plans to do something not so nice. “The Woman” would make you really curious to watch as this shocked spectators at the Sundance Film Festival. 3. A Nightmare on Elm St. In the 1984 cult classic Freddie Krueger, a clawed clown, stalks the children of the members of the lynch mob that killed him by haunting their dreams. This Halloween classic is critically renown for rupturing “the boundaries between the imaginary and the real” and for its comments on “the struggles of adolescents in America.” “A Nightmare on Elm St.” will leave you sleeplessly counting sheep. You have been afraid of the beach when you were younger because of the images retained in your mind with sharks feeding on human flesh. Over the years, the fear has been dispelled with sharks only attracted with blood. But if piranhas would be out of the beach, just imagine blood all over the water, on the boats, and maybe even close on the shore. Have you missed Ghostface? Yep, the very same guy who creeps into the home and kills people who are involved with him. Sidney, played by Neve Campbell is back on screen. And if you see her on Scream, it only means that Ghostface is out to wreak some havoc, now in the town of Woodsboro. What should be mentioned here is that you can download these movie videos to any of your portable devices for enjoying on the go. Leawo Free YouTube Downloader is a free program to download online videos. And you can also take advantage of Leawo YouTube Downloader for Mac if your PC is running on Mac OS. Go for Halloween movies 2011 now! If you want more tips for the upcoming Halloween 2011, just focus on this blog and more will follow.